The Rafale conundrum: Who induced PMO to accept extortionist terms and how did France get such a sweet deal? Akin to the exquisite Chinese torture by water endlessly hitting the forehead, drop at a time, leading the victim to own up, confess, recant, the drip, drip, drip publication in newspapers of hitherto unknown tidbits and classified documents related to the procurement of the Rafale combat aircraft from France may be driving the ruling Bharatiya Janata Party (BJP) government to distraction. It has certainly undermined its carefully tended case regarding this high-value deal, and impacted Prime Minister Narendra Modi’s reputation for uprightness. The hope, nursed by some in government, that Part B of the Comptroller and Auditor General of India’s (CAG) Report on the ‘Acquisition of 36 Rafale Aircraft through IGA (Inter-Government Agreement)’ tabled in Parliament on 13 February would rescue the ruling party has been belied. What it actually does is confound the already existing confusion about the real cost of the deal. The predicament the Modi dispensation finds itself in is due mainly to a bunch of crucial documents relating to the Rafale transaction leaked to The Hindu and splashed on its pages in the last couple of weeks. Particularly damning has been the dissenting note about the IGA by three Ministry of Defence (MoD) officials and members of the Indian Negotiating Team (INT) — Adviser (Cost) MP Singh, Finance Manager (Air) AR Sule, and Joint Secretary Rajeev Verma. Also, of interest is the article in The Wire by former MoD Financial Adviser Sudhansu Mohanty, who indicated that the direct negotiating track set up by the National Security Adviser Ajit Doval obviously on Modi’s say-so was outside the ambit of the Defence Procurement Procedures, and had rendered INT redundant. The dissent document which The Hindu published and the CAG report are crucial to understanding why the ill-advised initiative by the prime minister to speed up the Rafale procurement by cutting INT out of the negotiating process and getting Doval and the Prime Minister’s Office (PMO), with limited domain competence and expertise, to finalise a deal with Paris, has backfired. That the three dissenters eventually signed the final acceptance of IGA may be attributed to bureaucrats’ desire to avoid rubbing the government the wrong way because that could result in punitive actions — postings in the boondocks, troubles with promotions and retirement pay, etc. Not all arms deals are created equal. Most go through the bureaucratic grind and long testing trials over years before the competing products are shortlisted, which is when corruption usually occurs in terms of changing the rank order to favour this or that supplier/country. It is facilitated by middle-men servicing political leaders, bureaucrats and even uniformed personnel in the decision-making loop and their tendency to pelf and personal profit via commissions and considerations in kind. Rafale, too, went through a trying testing regime. However, while the usual commission-mongering, at least during the NDA government’s tenure, was missing, the PMO’s role in ensuring that Anil Ambani’s Reliance Defence gains from the offsets attending on the Rafale buy and so admitted by the then French President Francoise Hollande, is as apparent as Ambani’s playing the part of the intermediary – something that has not been plumbed as it should be — between Modi and PMO on the one hand and the French government and the French supplier Companies, Dassault Avions and MBDA, the missile maker, on the other hand. It substantiates suspicions about Modi’s crony capitalism which may have led to New Delhi agreeing to extremely generous terms and conditions in the IGA for Dassault and MBDA. More on this later. The dissenting note stated plainly that the IGA did not meet the main criteria laid down in the Indo-French Joint Statement of April 10, 2015 of expeditious delivery of the Rafale aircraft on “terms that would be better” than those in the 2007 MMRCA deal that Dassault had acceded to. It was pointed out that IGA, instead of sticking to the “firm and fixed” price basis for negotiation mentioned in the original Request For Proposal, had accepted an escalation formula advanced by the French parties resulting in a 55.6 percent increase over the “benchmark price”, i.e., the cost-figure (calculated by IAF) as the high end of the acceptable price range for aircraft and weapons package of €5.06 billion. The dissenters deemed the resulting €7.87 billion price tag for 36 Rafales unreasonable. They also mentioned that EADS had offered the Typhoon Eurofighter at a 20 percent discount without any escalation clause. Another 5 percent discount was seen by INT as a negotiating margin that could be extracted from EADS for a total 25 percent discount. This would have eventuated in a cost figure markedly lower than anything Dassault was offering for Rafale. Using the EADS offer to leverage a better price for the 36 Rafales never, however, occurred to the PMO negotiating the terms in the IGA. More significantly, the IGA did away with sovereign guarantees and payment to vendors through an escrow account operated by the French government, which would have made Paris accountable for any default on the contract by Dassault and MBDA. It made for huge savings to France in bank charges, which as the CAG Report suggests, were not passed on to India or factored into the final price calculations by IGA and, in any case, was 5.3percent higher than what Dassault had quoted for the MMRCA. Further, the French government, per the dissenting note, ignored the pleas by INT to apply the commercial rates offered by industrial suppliers for the MMRCA to the 36 Rafale purchase. In the event, the French insisted and received in the IGA a virtual license to act in their own best commercial interests or France’s national interest without fear of penalty, with India requiring to exhaust all avenues of international arbitration to redress its grievances before approaching the French government to make good. Indeed, with Paris minimising its financial exposure and that of the French Companies, and getting a deal so tilted to benefit France in every way, one wonders if the PMO, clueless about the technical and financial nuances of high-value deal making, simply accepted the French draft as IGA. This in fact is what seems to have happened with a Joint Secretary in PMO, as The Hindu disclosed, calling up a senior French official to inform him about some French conditions or the other that had been accepted. The CAG report makes many of the same points the dissenting note did with respect, for instance, to the sovereign and bank guarantees, escrow account, etc. But it does not take the extra step of faulting the IGA and hauling up the government for making do with a “letter of comfort” that by way of legal commitment means nothing but imposes a severe financial burden on the country. 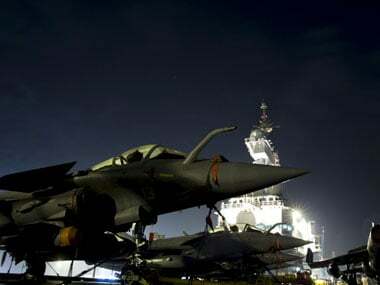 At the core, the difficulty, and the CAG hints at it, was with reconciling the costs of an MMRCA deal for 126 aircraft with 18 Rafales bought in flyaway condition and the rest produced with transfer of technology and under license in India to fit the buy of only 36 aircraft, with Paris no doubt demanding that the total cost figure of the originally contemplated MMRCA deal not be tampered with. The CAG Report observed that such small number of aircraft nowhere filled the “wide gap in the operational preparedness of the IAF”. The enhanced costs of producing the aircraft at HAL involving 2.7 times more man-hours per Rafale, however, provided the government the rationale to junk the license production portion of the deal, with the monies thus saved channeled into the 10 year spares package promising 72 percent-75 percent serviceability of the Rafales in IAF fleet. Moreover, it isn’t clear why the need for ISE arose in the first place if the idea was to hew to the Joint Statement that required delivery of aircraft “in the same configuration as had been tested and approved by IAF..with longer maintenance responsibility by France.” Seemingly, these enhancements were of no great import, in any case, because IAF proposed postponing six such enhancements as a “cost reduction measure,” something MoD rejected. Under the IGA, moreover, Dassault has been allowed to incorporate the ISEs only after the last Rafale is inducted into service some 71 months after the IGA was signed — a month longer, incidentally, than the MMRCA deal the INT had negotiated. But CAG is skeptical about Dassault meeting delivery timelines owing to the backlog orders for the aircraft and the French Company’s annual production capacity of only 11 aircraft – something the dissenting note too flagged while marking the Dassault capacity at 8 aircraft per year. 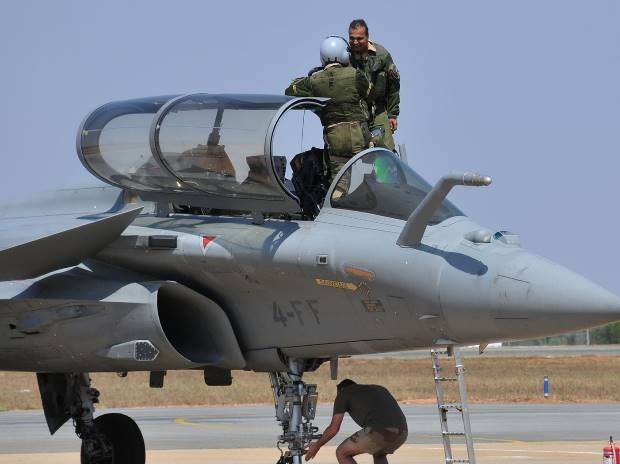 Except, CAG accepts on faith the government’s belief that the delivery of the Rafales will somehow adhere to the laid down time-table, thereby implicitly accepting that, with the French government absolving itself of all fiduciary responsibility, IAF is at the mercy of the supplier firms. The real problem with the CAG report is elsewhere. Its conclusion that IGA was 2.86 percent cheaper than the MMRCA deal hammered out by the Congress party-led UPA government is based on its calculation of savings of 4.77 percent in services and product support, 17.08 percent in the ISE category and 1.05 percent in weapons package while conceding increases in cost in several other categories — 6.54 percent in engineering support as also in Performance-Based Logistics (the 10 year spares and service support scheme). But the figures are fully redacted and the workings completely obscure. How the CAG arrived at any of these figures is a mystery. The opposition claim that the CAG report is tainted because the Comptroller General as Finance Secretary oversaw the financial aspects of the Rafale deal overlooks the fact that all CAGs are political appointees and the assessments they produce are political documents which try and put the best possible spin on controversial deals, which is why select civil servants are placed in that position. This brings us to the conundrum of just how France managed to get a deal so favourable to it which, in turn, brings the role of Anil Ambani to the fore. On 12 February, The Indian Express reported that Ambani met with top French defence ministry officials — all advisers to defence minister Jean-Yves Le Drian, a week or so before Modi landed in Paris in the first week of April 2015. Le Drian’s Industry Advisor, Christophe Salomon described their meeting with Ambani as “confidential, and planned, as you can imagine, with very short notice.” The Indian Express report suggests that the Reliance Defence owner may have used the occasion to alert the French defence ministry about Prime Minister’s Modi’s Rafale decision coming down the pike and, in the event, for the French government to prepare its act together with Dassault and MBDA with respect to firming up terms, conditions, and price parameters of their liking. It is a matter of conjecture as to what, in the circumstances, motivated Ambani: Obtaining a good deal for India or a great deal for his Company? That the Rafale deal, apart from the PMO, did not involve any other agency of government may be read in the statement the then Foreign Secretary K. Jaishankar made to the press on the eve of the Modi-Francoise Hollande meeting. “In terms of Rafale, my understanding is that there are discussions underway between the French company, our Ministry of Defence, the HAL which is involved in this”, said Jaishankar. “These are ongoing discussions. These are very technical, detailed discussions. We do not mix up leadership level visits with deep details of ongoing defence contracts. That is on a different track.” If the PM sprang a surprise on the country, MEA, MoD and HAL too were unaware of the “track” they were moving on being separated from the one the PM and his PMO had already taken to reach a decision. That the decision to go with Dassault was early communicated to Ambani is evidenced in the fact that, as part of the offsets requirement, Reliance Defence assisted by Dassault, began investing in production infrastructure ere the IGA was signed, has already plugged into Dassault’s supply chain and is supplying parts and assemblies for the Dassault executive jet programme and is expected to output the whole Falcon 2000 LX jet by 2022 at its Nashik facility. This means that Ambani had a commercial stake not only in Dassault bagging the Rafale deal but doing so on preferential terms and conditions. The IGA that transpired reflects this last aspect. It is therefore not too outlandish to conclude that Ambani served as a two-way communications channel in the Rafale deal – conveying to Paris the PMO’s thinking, and prompting the PMO to accept near extortionist terms and conditions that, for such a big international weapons deal, are unique. This entry was posted in arms exports, asia-Pacific/Indo-Pacific, Asian geopolitics, civil-military relations, corruption, Culture, Decision-making, Defence Industry, domestic politics, DRDO, Europe, Geopolitics, Great Power imperatives, India's strategic thinking and policy, Indian Air Force, Indian ecobomic situation, Indian Politics, MEA/foreign policy, Military Acquisitions, Military/military advice, Missiles, society, South Asia, Technology transfer, Weapons. Bookmark the permalink. 1 Response to The Rafale conundrum: Who induced PMO to accept extortionist terms and how did France get such a sweet deal? I don’t think Anil Ambani did this. At most, he was an opportunistic side beneficiary and Modi’s primary motivation was also not crony capitalism. It was a side event. Who is the real rascal? It was our very own corrupt brass in the IAF. They scared modi while at the same time doing everything to help Dassault. Yes, our genius Modi allowed himself to get manipulated.